Austrian Railways part 1 - the east- Ticket to Ride. Austria has long been the buffer between east and west, but with enlargement of the EU has become an eastern crossroad for the new Europe. 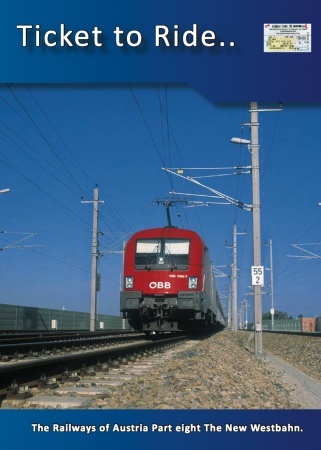 We concentrate on Lower Austria: the Südbahn, the Ostbahn and the Westbahn - all coming together in Vienna and its three main stations. 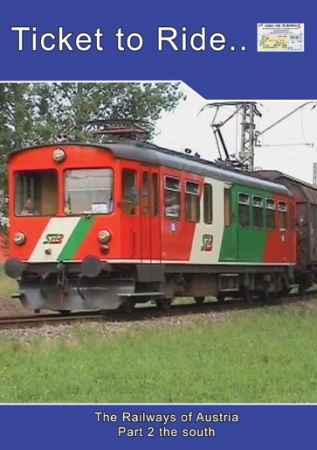 We look at EuroCity activity to Hungary and the Czech Republic plus - what is now almost a domestic service to Slovakia. We discuss the prospects of a new central station for Vienna and then follow the NEW Westbahn to Linz, see the recently rebuilt station and climb the hills above the city with the delightful Pöstlingbergbahn. Onwards to the Czech border near Summerau to see some unusual international workings and at nearby Gmünd narrow gauge steam. The freight business is surprisingly deregulated. The old and the new order aggregate more than 200 trains a day between Linz and St. Pölten. 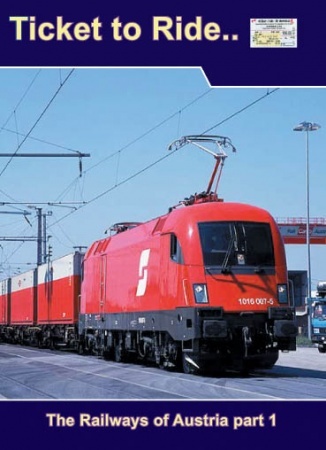 We visit Kledering - the largest and most technically advanced wagonload facility in the east of Europe - you get the grand tour from the tower and the hump and watch wagons from all over Europe pass through this vast railway melting pot. Europe's most advanced traction is on display, from the high tech multi current machines from Siemens and Bombardier, like the pretty Taurus, and new diesels from Vossloh - not forgetting the OBB's mighty Hercules. All this, plus the Mariazellerbahn and a lesson on Austrian signalling! Narrated RT 88 mins.